Sara Kopp is an outstanding gardener with a celebrity client list. She also has a heart for delivering social change through horticultural therapy. Sara had a website, but because it was built several years ago, it was not responsive, not ready for digital marketing and not easy to update. It also didn’t have the capacity to showcase her portfolio and there was no way for people visiting her site to easily email her from the site. 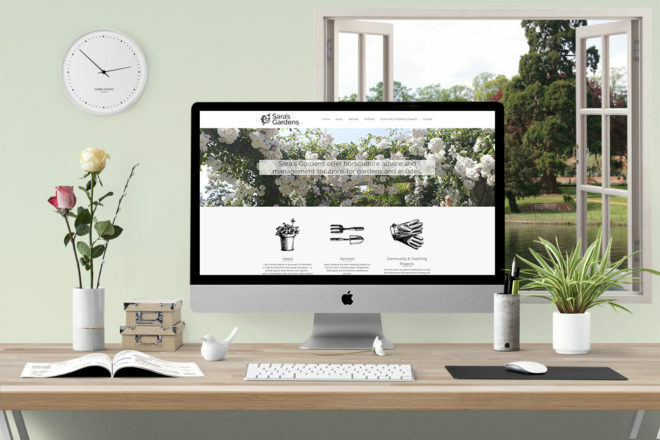 Sara came to Made with Joy because she knew we worked with individuals and organisations who make a difference and that we would build a new website at a fair price.